Comedian Michelle Wolf’s caustic routine at Saturday’s White House Correspondents’ Dinner got some major pushback — and not just from President Donald Trump and members of his administration (many of whom, like press secretary Sarah Huckabee Sanders, were in the room). “Unfortunately, I don’t think we advanced the cause of journalism tonight,” New York Times White House correspondent Peter Baker tweeted. Politico reporter Kyle Cheney said that the harsh tone of Wolf’s routine was off-putting — and counterproductive to the message that the press organization was trying to send. Many focused on the harsh jokes from the “Daily Show” alum directed at White House Press Secretary Sarah Huckabee Sanders, who was on the dais as Wolf delivered jibes at her personal appearance and honesty. “The spirit of the event had always been jokes that singe but don’t burn,” NBC News White House correspondent Kelly O’Donnell tweeted, noting that “reporters who work with her daily appreciate” that Sanders turned up for the event at all. Read some of the other reactions below. Years ago I vowed never to go to another #WhiteHouseCorrespondenceDinner and haven’t been to one since. 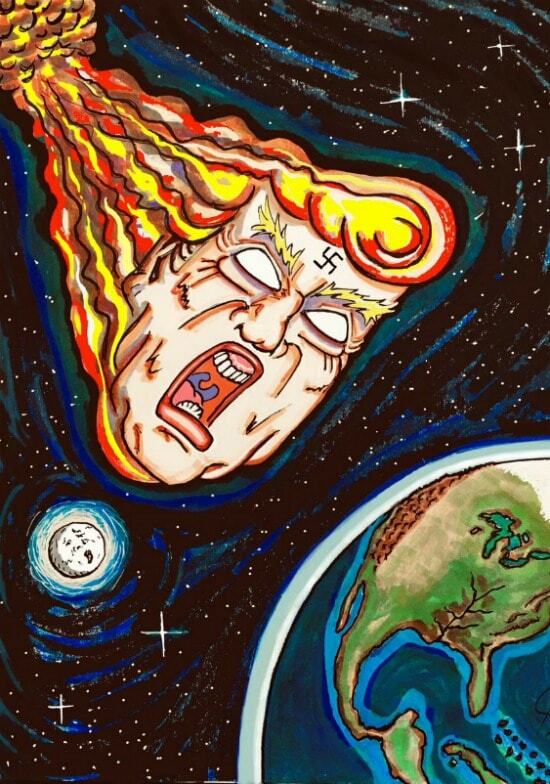 One thing though if you are offended by Michelle Wolf’s jokes, and don’t also speak up every day about the President’s actions and words then you are part of the problem. 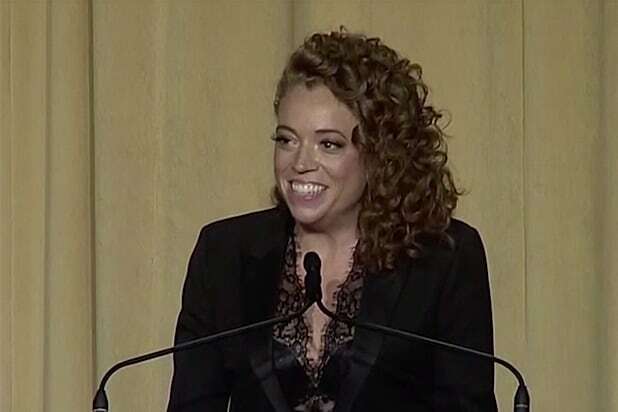 Kudos to @michelleisawolf for making the #WHCD circle jerk as painful and awkward is it deserved to be. In ‘96 Al Franken roasted the Clintons mercilessly. He even made a joke about the stain on Monica’s dress w/ Hillary sitting right there. And while Wolf was excoriated by many in Washington, her act was applauded by others, like The Intercept co-founder Glenn Greenwald, who praised Wolf for making the night uncomfortable.